Rug Cleaning Services in New Orleans, Metairie and surrounding. An Oriental Rug or Area Rug is just as important as a piece of furniture to us. It’s something that, if cared for properly, can last for generations to come. We recommend your rug to be professionally cleaned at least every 1 to 2 years, or even more often if it endures a lot of traffic in the house. Unseen dirt particles can affect the integrity of the rug’s fibers, forcing them to become weaker and fall apart. With proper professional cleaning on a timely basis, we can prevent this, expanding the life of your rug for decades. Here at D&G Carpet Cleaning we understand the value of your Oriental rug. Our professional cleaners know how to work on all types of area and oriental rugs with the utmost delicacy, ensuring your rug retains all its former beauty. Persian, Indian, Pakistani, Antique or handmade oriental, your rugs will be in the right hands at D&G’s rug cleaning department. We have many years of experience working with different type of fibers, and we have mastered the best rug cleaning products and methods. Our oriental rug cleaning facility is specifically design and fully equipped with the latest (state-of-the-art) equipment and rug cleaning products required to give your area rugs the deepest but gentle cleaning they deserve. At D&G Carpet Cleaning, steam cleaning (hot water extraction) and rug bath are the rug cleaning methods we use mostly. Those methods provide deep and thorough cleaning of your rugs, removes dirt and eliminates all of the cleaning solution and leave your rugs clean and residue free. For gentle, delicate and older rugs we recommend our dry cleaning method. Our Rug Cleaning team is going to choose the best cleaning method for your rugs and you can be confident that our choice is based on many years of experience. Thorough Inspection: We inspect your rugs for stains, visible damage, fading, wear, color instability and other issues when choosing the most suitable cleaning method. Dusting: Using specialized equipment we remove dust and other particulate matter embedded deep within your rug fibers. Pre-Treatment: We treat the spots with special stain-removers preparing them for removal. Pre-Conditioning: Our pre-conditioning process is mainly targeting heavily soiled areas. Agitation: The agitation loosens the stains and helps removing the soil. Extraction: Hot or cold water rinse and extraction pulls out loosened soil and stains. Grooming of the fibers: Special tools reinstate the nap of your rug. Drying: In our (climate-controlled) drying room your rugs speed dry in less than 24 hours. Post Cleaning Inspection: We check every cleaned rug to make sure it meets our quality standards and repeat any cleaning steps if it’s necessary. Free Pickup and Delivery: We offer free rug pickup and delivery service for your convenience. That service is offered within New Orleans and surrounding area. 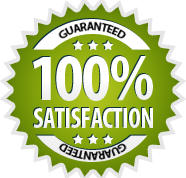 Our main goal is your complete satisfaction. D&G’s rug cleaning department will always take superior care of your handmade, antique, specialty, or otherwise delicate area rugs. Call us today and let our experts clean your area rugs as never before.